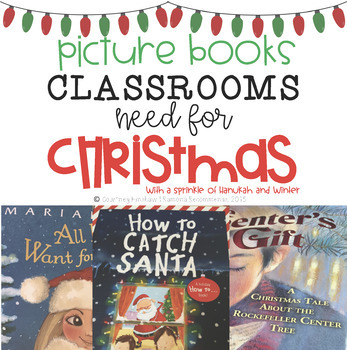 Picture Books our students to see themselves in literature. I have provided you with 30 titles to help make your Christmas season picture perfect. There are 26 Christmas titles, 2 Hanukkah and 2 Winter titles. Along with the titles I have shared how I use each book in my classroom. I have also created a mini weekly calendar printable for you to plan out when you are going to use each book. Do you my other MUST HAVE lists?